The Christian Bible, the best-selling book of all time, is read by many people in many different ways. For example, it is possible to read it with an eye toward how it has formed Western culture. A few years ago, on the four hundredth anniversary of the King James Version of the Bible, celebrity atheist Richard Dawkins—hardly the first person one would expect to commend a translation of Christianity’s founding text—commented on its importance, saying that it is hardly possible to understand English literature without reading this work closely. It is also possible to read the Bible with the purpose of inquiring into the founding moments of both the Jewish and Christian traditions. This would mean engaging with the Bible historically, as a work that opens a window into the religious worlds that stand behind it. And it is possible to read the Bible as a work that shapes one’s religious faith and practice, as so many around the world continue to do today. Those who do so assume that the text can speak directly to them, as it were, as well as serving to illuminate ancient history and the inner workings of other written texts. The book I have written, Reading the Bible Theologically, explores a specific question that falls somewhere in this third basic category. The book asks what happens to the practice of reading when interpretation proceeds on the basis of a faith commitment to the Christian religion. This is not to say that this sort of substantive belief is somehow necessary in order to arrive at a valid interpretation of the Bible. It is simply to pose the question of what the consequences or entailments for interpretation are of assuming that the reader takes the broad outlines of the Christian faith as her point of departure in reading. If faith has an influence on reading, what exactly is the nature of this influence? If we can arrive at an answer to that question, does such influence count as a problem, a matter of lazily reading into the text one’s preconceived opinions and religious allegiance? Or should we think of faith’s influence in more positive terms? This is a scholarly book, needless to say, and of course there is an academic debate that forms the background to it. In the case of this book, there is a rather large inter-disciplinary debate brewing about the question I have just posed. This debate or discussion is known by the name of theological reading of Scripture or theological exegesis of the Bible (exegesis refers to drawing meaning or sense out of a text). According to Yale University’s Miroslav Volf, the discussion of theological reading has proven to be the most significant debate in all of Christian theology over the past few decades. Recent years have witnessed many brief attempts to state what the key issues in theological reading are, or what all the fuss is about. There are even a few longer works that weigh in on these topics. In spite of this, it is by no means difficult to find people who are still deeply perplexed about what is at stake, whether theological reading is something worth being excited about, or whether reading and faith even belong together at all (perhaps it might better for them to keep each other at arm’s length). It is this situation that got me thinking about theological reading. And it is all those who find these core questions interesting—regardless of what they think the proper answers are—that I envision as the audience for Reading the Bible Theologically. So what then is theological reading? Some of the existing literature characterizes it as interpreting the Bible so as to pay the closest possible attention to what it has to say about theological matters. If this is right, it means that reading with a faith commitment really does not make a difference for how the process of reading operates. All that it really changes is what the reader focuses on in particular—that is, theology, rather than mainly historical or literary matters, as inextricably linked as all three of those topics are. 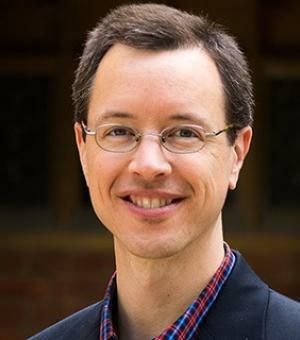 Another view to be found in the existing literature characterizes things differently, claiming that theological reading should be understood essentially as what ecclesial communities are doing when they read the Bible in their services of worship. Here, faith’s influence on the practice of interpretation should be investigated by looking at how communities of faith relate the Bible to their proclamation, belief, and ritual observance. Without wanting to deny the valid insights that genuinely are present in these two positions, I contend that neither of them has gotten to something that seems utterly indispensable. I propose that the most important contribution faith makes to reading, for those who interpret the text with a faith commitment, is that it sheds new light on what the text of Scripture is and who the reader is. (These issues eventually have implications for how the text is read.) What faith does first and foremost is that it generates a whole new perspective on the interpreted object (the Bible) and the interpreting subject (the reader). Of the existing literature on this topic, the works that are most similar to my book often stop at stressing that the text of the Bible is seen in a distinctive way by those who read it theologically. I am offering a wider account, which brings both text and reader into equal focus and prominence. 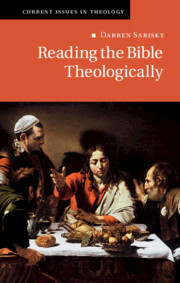 Reading the Bible Theologically is the first book that makes this point about the reader against the background of the current scholarly discussion of theological reading. In broad terms, the argument is that theological reading is interpretation whose point of departure is a specifically theological view of both text and reader. The book is part of Cambridge University Press’s series, Current Issues in Theology. As such, it offers an original proposal on a topical theological issue. But in doing so, it attempts to situate the current issue of theological reading in a broad historical perspective. As I have already noted, there is a lively current debate about theological reading. Yet, I have laid out this book in an effort to say that this is certainly not just a recent phenomenon. Theological reading is not simply one among many current events. The key issues have a long history in the Christian and Jewish traditions, and the book builds its own constructive thesis upon an historical engagement over the course of a couple of chapters with Augustine of Hippo (354-430 CE). In addition, I spend some time working through what Benedict de Spinoza (1632-1677) writes about reading the Bible, for his work allows me to say, more clearly than I otherwise could, that theological reading should still be very interested in the historical backdrop of a biblical passage, though it should not think about that historical background in the way that Spinoza did—naturalistically, or as if a transcendent God definitely does not exist. When I unpack my own thesis about theological reading, I draw upon Augustine, differentiate myself from Spinoza, and come into dialogue with the wide range of literature on theological reading that has been composed in recent decades, especially in English-speaking contexts, where the debate is most vigorous. As a book in the Current Issues in Theology series, this is certainly a work in the field of Christian Doctrine. In today’s specialized academic world, the area of Christian Doctrine or Theology is a separate field of study from what is known as biblical studies. But it is my hope that the book will attract readers from across the full range of the inter-disciplinary discussion of theological reading, which includes biblical studies and even the history of the Christian church. The book aims to be of interest to anyone who wonders about theological reading or what role, if any, faith commitment might have within interpretation. It is a contribution from a particular subfield, but the question the book considers has wide resonance in a range of other sub-disciplines. I give over a significant number of pages to considering the objection that interpreting with a faith commitment, or allowing that commitment to exercise real influence in reading, simply spoils what could otherwise be an effort to listen, as it were, to what a text has to say. I hope that readers inclined toward that view will consider the constructive proposal in the book, and will pay special attention to the final chapter’s engagement with this important critique, to which I attempt to respond in a way that further illumines the main contentions of the book. The work may even be of interest to those who are not current students or researchers, but who work in religious communities where these are live issues. Such readers may not bother to read absolutely all the footnotes, and they may be more interested in the second part of the book, where I make my own constructive proposal, than they are in the readings of Augustine and Spinoza that lead up to it. Yet many whose positions are in religious communities wrestle with these questions as they go about their work, so I could see the book being of interest to them as well.